January: Inauguration of monthly SESKU & Hemsworth Business News newsletter. Edited and mostly written by myself, it was hailed as a significant success by both local businesses and the Project Management Board. Commentary: The SRB-funded ‘SESKU’ project (for South Elmsall, South Kirkby and Upton) was meant to assist social and economic regeneration in the pit villages in the south-east of the Wakefield District which had been devastated by the closures of the mines. With high unemployment, escalating drugs and alcohol abuse, increasing crime figures, major behaviour problems in the schools and the health services under growing strain, SESKU was in desperate need of strategies to revitalise the area. The Business News was designed to promote services offered by the local business support agencies and to feature profiles of the more successful companies in the area as potential models for others. January: Issued own Ultimate Newsletter to over 400 nursing/residential homes. Commentary: While it carried several general interest features, the newsletter was obviously designed to promote my consultancy services and the Ultimate System. In retrospect it was a flawed concept. In trying to create something that would interest home owners on a broad basis, I tended to undersell both the Ultimate System and my own services as a consultant. February: 21st Century Group – now with its own steering committee – described as “world-beating” by Michael Maude, a leading consultant from the DTI Innovation Unit. Members were now recruiting new members from their own supply chains and the steering committee contained as many senior management figures from local SMEs as business support agency representatives. February: Facilitated inaugural meeting of Leeds Care Homes Association’s Matrons & Managers Network. Commentary: This was the first follow-on from the successful ’25 Tips for Better Bed-Filling’ the previous November. However, internal conflicts at the LCHA meant there was no further implementation of the programmes I had proposed. March: Commenced open-ended relationship with Stelram Engineering who wanted me as mentor and trainer, regardless of whether my work was part-funded or not. Commentary: Although we were very different in terms of temperament, for a while Jack Holt and I really hooked into each other. He looked to me for advice and guidance on what might be termed ‘sociopsychological issues’ while I marvelled at his determination to make his company ever more successful through implementation of ‘best practice’. March-July: Completed competence-based training as INLPTA-certified NLP Practitioner with Hidden Resources. March-July: Used the Gravesian approach and NLP to facilitate major change programme in Euro Motor Campers Ltd (Knottingley, West Yorks) and get them started on ISO 9000. April-August: Contracted to help establish Wakefield Manufacturing Partnership (in part a spin-off from 21st Century Group) – assisting with business planning, marketing, providing guidance to Trustees and facilitating steering committee meetings. Commentary: WMP was a tragic tale of a group of employers managing to cut through the wasteful bureaucracy of the business support agencies and access public money to create something they actually wanted – only for it to implode through the most vicious in-fighting. I actually ended up doing some work for WMP on a voluntary basis after the contract ended in a vain attempt to save it! June: Arranged major public address by Don Beck, co-developer of Spiral Dynamics and sometime consultant to Nelson Mandela and Bill Clinton, in South Kirby. As a result of which Wakefield TEC Chief Executive Iain Wilkinson started the Wakefield MeshWORK project – based on Beck’s methodologies. 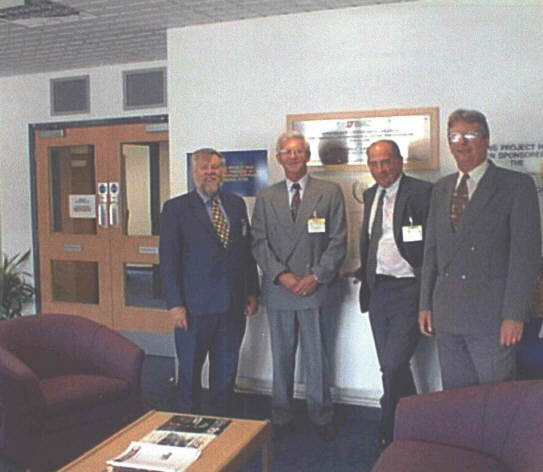 Became leading member of Wilkinsons’s ‘MeshGroup’ which eventually led to the HemsMESH project. 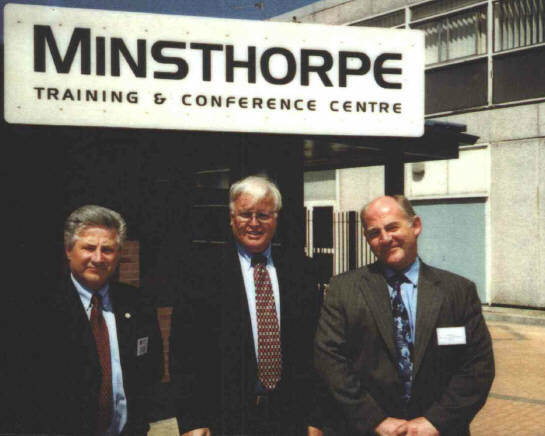 August: Used Wakefield Manufacturing Partnership training needs analysis project to rescue relationship for Business Link Wakefield with disaffected Pontefract manufacturer. September: Entered into open-ended non-funded relationship with Airedale Tubes & Fittings Ltd – a referral from Stelram Engineering. Commentary: Airedale boss Dennis Turner was cut from similar cloth to his old friend, Jack Holt – a self-made man with great strengths but some limiting weaknesses. Like Jack, he saw intellectually the need to change and delegate responsibility and authority. However, also like Jack, emotionally he found it very difficult to hand control of his ‘baby’ over to others. September: Negotiating Skills programme I delivered for joint ISCAN/Business Link Wakefield workshop so successful, they contracted me to deliver 4 follow-ons. Commentary: Initially it was just a few pages. Although right from the start it reflected my growing interest in MeshWORK concepts, the main aim was to promote the Ultimate System. It would be another year before I began to develop the site seriously. October: SESKU & Hemsworth Business News commended by Government Office for Yorkshire & the Humber European Audit Team. Commentary: In spite of the undoubted success of the Business News, funding for it was not renewed in Spring 2000. By then the TECs were on their way to being replaced by the Learning & Skills Council and the Business Links were being radically overhauled. With jobs on the line, people in those organisations were (not unnaturally) rather inwardly-focused and competing with one another to survive the transitions. Several local employers protested in vain to the Business Link about the demise of the Business News and unsuccessful attempts were made to sponsor it independently of the Business Link. October: Visited the managing director of ‘Company X’ – another referral from Stelram – and totally failed to convince him to employ my services! I had made the critical mistake of giving the managing director options when he was running a Procedures meta-programme! He had wanted me to TELL him what to do – not give him options! That he clearly respected where Jack and I were coming from, though, was evidenced by the guy joining the 21st Century Group. October-May 00: Completed competence-based training as INLPTA-certified NLP Master Practitioner with Hidden Resources. November: Second issue of Ultimate Newsletter. December: Studied Meta States to Level 1, under leading developer, L Michael Hall. Commentary: Developing an understanding of meta-states – the interpretation and reinterpretation of data we receive through our 5 senses – wasn’t quite as revelatory as discovering the Gravesian approach/Spiral Dynamics…but it wasn’t that far off! It majorly transformed how I understood the formation of beliefs, from which I was then able to explore the relationship between meta-states and the Cognitive Triad. December: Used organisation lifecycle concepts with yet another Stelram referral to set a strategic path for the company’s development. Commentary: Although the managing director appeared to own the plan, his RED vMEME – possibly locked into Psychoticism on the Dimensions of Temperament – was just so strong that, when an opportunity for acquisition unexpectedly opened up, he threw away the plan for consolidation before major growth. In so doing, he brought his company to the verge of ruin.